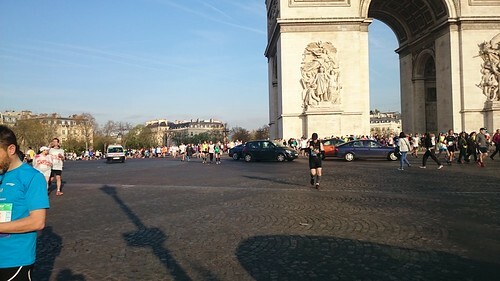 I ran the Paris marathon on Sunday. Running it was a very. very silly idea but I still went ahead and did it. 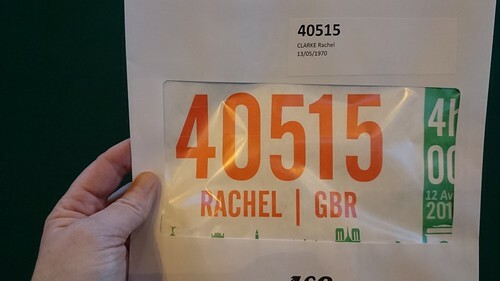 Last year, London was my first marathon. I had no idea what to expect, I did all the training I could despite suffering an injury, I pushed through and finished the marathon to plan, in the target time. It was hard and I was not mentally prepared for those last 6miles but I liked it enough to try again. 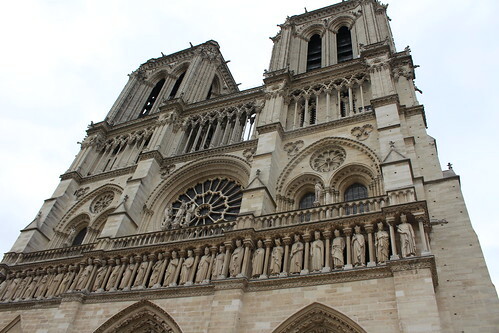 When I entered Paris last April, the intention was I would train regularly during the summer to build up the base fitness and improve my speed before starting the formal training plan. But that was before I ended up with a detached retina and not being able to do anything for a couple of months. So I started off with the plan, at lower level then I wanted and it was all going well until a fall, a broken finger, another operation under general anaesthetic, colds, chest infections, and a shin splint that meant it was hard to walk at times, never mind run! Seven weeks ago, if I could have, i would have deferred the entry but you can’t do that with Paris. Furthermore, my travel and hotel were paid for, so i was going anyway. In the last 6 weeks, I have only run about 50miles, with some other aerobic training built in. Nowhere near enough when I was supposed to be running 50m a week! I was not sure I was going to run until a few days before and even then, I still had the option not to. I had amended my plan. Instead of 4 hours, my original target a year ago, I wanted to get under 5:40, the published cutoff time. I researched run-walk plans and was prepared – if I decided to run. I’d run to each km marker and then walk for 60 seconds. I arrived in Paris on Friday, dropped my stuff at my hotel and headed right to the expo to get my number. It was surprisingly quick through the process. Hand in the medical form, get my convocation stamped, move to the next section and swap that for my number. then make my way through all the stalls. I did end up buying a souvenir tshirt and cap, but didn’t do much shopping for other things. 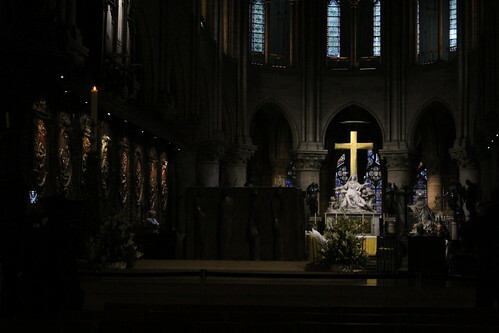 Saturday, i decided to spend a could of hours wandering around Notre Dame (to add to my cathedrals visited collection) before a quick pasta lunch and then an afternoon napping and eating carbs, before more pasta in the evening. A long, lazy day eating carbs sounds fun; the lazing was, but not the ongoing ingestion of noting for bread, pasta, fruit juice and sugar! Sunday morning, it was time to race. I’d spent the week watching the weather and my worst fears were realised. It was going to be a ‘hot’ and sunny day. Hot is relative, but 20c is more than warm enough. An early breakfast before getting ready to be out for 7:30. Made my way to the Metro station for the direct journey to the start area, then a quick dash back to pick up my watch. yes, despite making a list, I still forgot to put on my Garmin! Second attempt to get on a train worked and off I went> Most people got off at the Arc de Triomphe stop but I stayed on an extra couple of stops to get to the end of the finish straight and an easy stroll to the baggage drop off. A final loo stop, a check I’d remembered everything (it turned out I hadn’t. more later) and then no queue to drop the bag off. More strolling up to the start, through the chaos around the Arc de Triomphe where not all traffic is stopped and the runners play frogger. Because I knew I was nowhere near my predicted pace, I decided to drop back a pen or two, but they would not let me. I was only allowed into my original starting pen. Once in there, I settled at the back and waited, not oo long, only about 25 mins before we were ready to move. We slowly made our way down the pen, moving through the queues for the loos (hint, if you’re in a back pen and need a last minutes put stop, wander on down once they release you as there are loos with no queues). They started on time and I headed off, keeping well to the side and trying to stay out of the way as everyone started to stream past me. It was straight down the Champs Elysee, wide and plenty of room. The first km marker came quickly and my first walk break. After the wide part, the roads narrowed, made even more narrow by crowds creeping in.There was very little control of this and in some parts it made for some vary slow running. There was also minimal control of people crossing the course and I saw plenty of near missed and the odd collision, as people just strolled across, with bikes or small children. There was often little time to react of this, which made the running risky at times! So far so good, but i could feel the tiredness creeping up. At half way, I was on pretty much the same pace I’d run my last half in, passing through it in just over .5 hours. But I knew I wouldn’t be able to maintain it. I’d been drinking regularly and taking my gels to plan, so it was just plane old lack of miles in the legs rather that fluid or fuel I think. By mile 18 I was taking 90 second breaks, then I hit the drinks stalls at about mile 20/km 30. Paris don’t provide gels or isotonic drink (except for one stand) but they do provide oranges or bananas and lots of people take advantage of them, throwing the peel all over the ground. This stand was on a slight slope and I could have done with spikes to keep my grip – traction was definitely an issue! This was the start of me starting to walk for longer and also the start of my right hip starting to cramp up, interestingly more so when I was walking rather than running. for the next few miles, I was doing shorter runs and longer walks. But I was not going to stop. It was only 2 park runs to do, then only the 1 park run. that was only 3 laps round my local park. But the legs at this point had done enough. They didn’t like running and the hip hurt when I walked. I switched to run 1min, walk 1min, or rather count of 60, again and again. The final mile though was walked, or rather limped, even down the finish straight. I’d done more than enough, all I wanted to do was finish. Eventua;y, I got there. Through the markers and just keep walking. Get finishers tShirt, get water, get some oranges and pick up my medal. 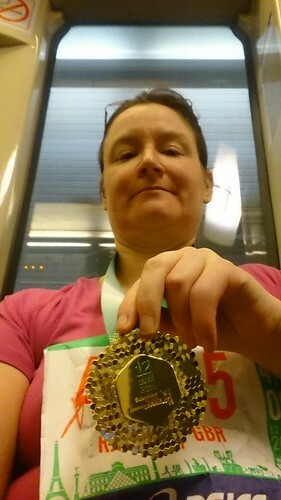 I was very silly to try and run Paris marathon but I finished it, in 5:38, so just under my target time. I would never, ever advise someone to do the same with such little training. It hurts! Oh, the final things I forgot? To vaseline my upper arms, so I’m in extreme pain now from chafing and bleeding there. Always remember to slather on the vaseline! It worked on my feet, no blisters there. And surprisingly, despite legs being sore, i can still walk down stairs normally. This entry was posted in life, running by Rachel. Bookmark the permalink.